You will be six years old in February. I guess that makes sometime this month your half birthday. I remember the day I brought you home from the hospital middle of nowhere. I’d driven about an hour outside of Tallahassee to pick you up from some nice people. They found you and your sister in a ditch, skinny, afraid, and covered with mud. I never told you this, but I was going to take your sister home instead of you. She was the more friendly and outgoing of you two pups. I asked the lady whether the other dog had already been found a home, and she said no, you were hiding underneath the deck. I walked around to the back of the house and coaxed you out. You were awkward. You had big paws and shy eyes and I could tell you were scared. So I kindly told her I’d changed my mind. I’d be taking you instead. You sat in the front seat with me but refused to look at me. As we were pulling onto my street, you casually vomited all over my car. Like…in between the console and the seat – that place that’s impossible to clean. I knew my mom would love you. After she was done hating you. You were home a few days before the hesitance wore off and your personality began to show through. You played with toys (although we have still not mastered the classics: fetch and tug of war), and you were eating like a champion. I taught you to sit, shake, stay (sort of), high five, high ten, and play dead. We could have joined the circus, but I decided that was not the life I wanted for us. She was mad at me. Then I showed her all the tricks you know. And you slowly won her over. Because seriously, you are so cute. Now she even babysits you when Mike and I have to go out of town. The summer I brought you home was a strange time in my life. I was newly single. I had a slew of sorority obligations. I was living in a house with roommates for the first time. You didn’t get all the attention you deserved and I regret that. But you were never mad at me for leaving you alone. 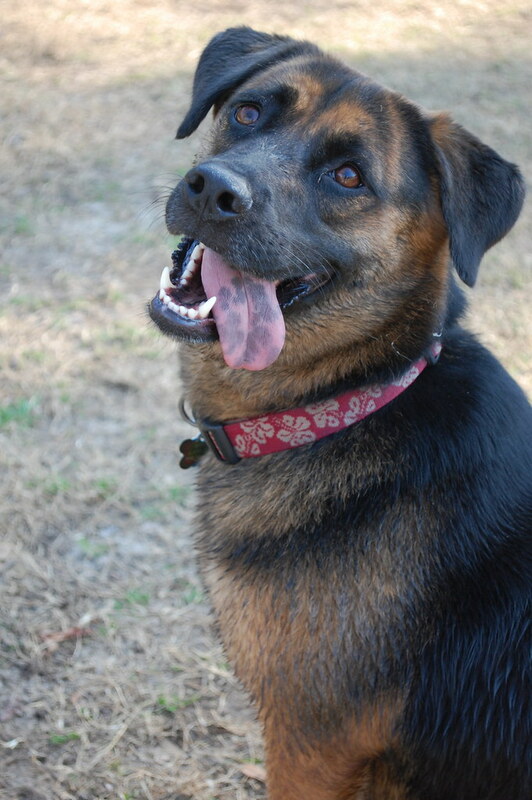 You always greeted me with a fiercely wagging tail, happy grin, and a barrage of sloppy kisses. You whine with excitement when I come home after being gone 5 minutes or 5 hours. You don’t pout when we bring home new animals (and we’ve done that a few times). 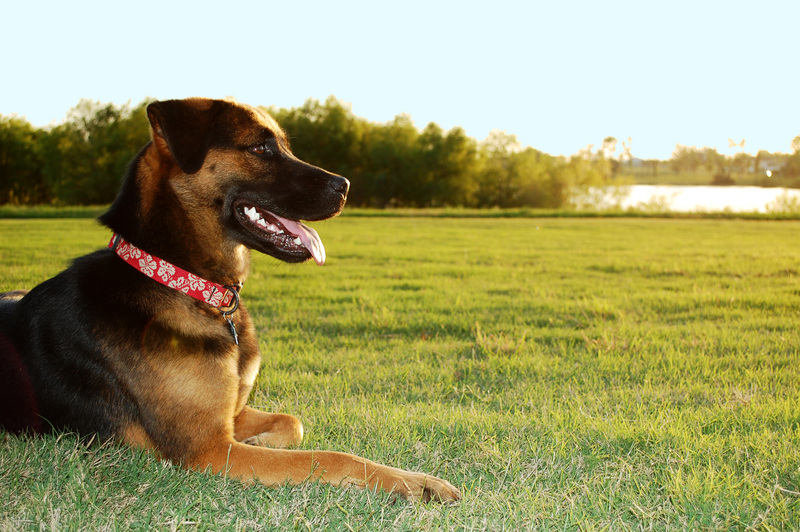 And despite your tendency to be socially awkward, you are a friendly, fun-loving dog and I am proud you are mine. So, you will be 6 years old in February. That means you’ve been a part of my life for 5 and a half years. You’ve seen me naked and you’ve seen me cry. You’ve seen boyfriends come and go and you are an excellent guard dog when I’m home alone at night. You are my favorite jogging companion and you always know when I need a cold nose kiss. Sometimes you annoy the snot out of me, but you have enriched my life in ways I cannot describe, but any other pet owner will understand. So, Happy (Early) Birthday to my Baby Girl, Bella Roo, Pooh Bear, Rooski Dooski, Boo Boo, Smelly Belly, Bella. I will always love you the most. P.S. 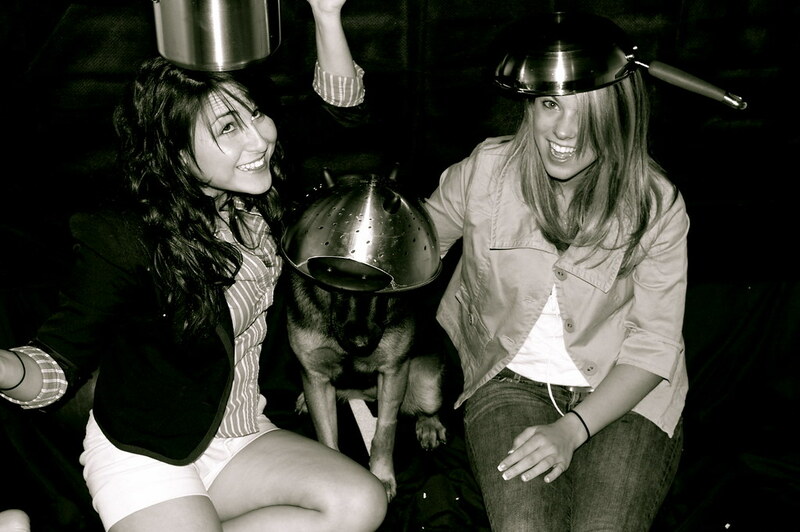 Please forgive me and Gabbi for that time we made you wear a colander on your head. P.P.S. All of the blogs I follow are posting “Bumpdates” or letters to their children, so I thought it was time I followed suit. I am not pregnant. And my only offspring have fur.